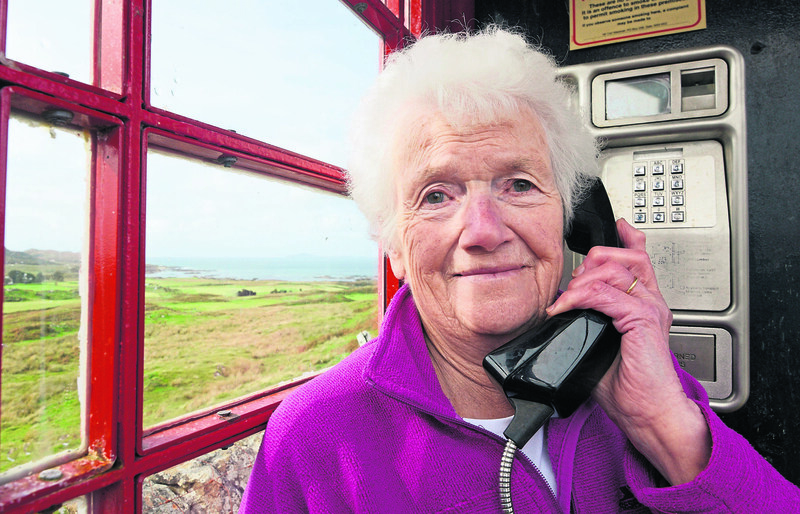 Chrissie MacLachlan at the remote, Kilmory phone box near Kilchoan. A telephone box decommissioned by BT has been reinstated after a community campaign. The red Kilmory phone box sits in the middle of moorside, near Kilchoan, and was taken out of service in 2017. It was put back into use this month when the community refused to take “no” for an answer. Chrissie Maclachlan a former post mistress in Kilchoan, says she is delighted the facility is back. 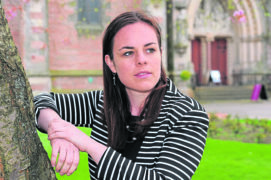 Chrissie MacLachlan at the remote Kilmory phone box. Mrs Maclachlan said: “It is working now. It takes the phone cards, and we all have one, just in case we need to use it. You can also make a call by reversing the charges. “I am thankful it is working again. We need it out here at Kilmory as there is no mobile reception. I could be out on the field, when I see or have an accident and that phonebox is the only way of getting in touch with the outside world. 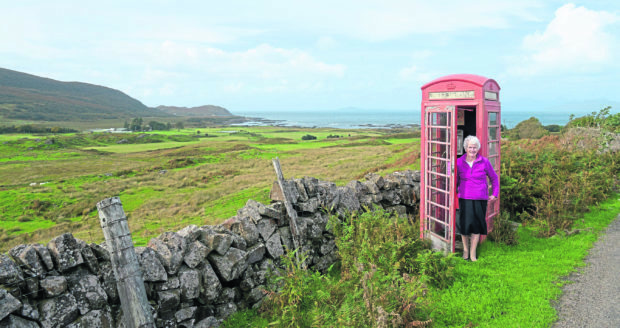 Pat MacPhail, from Acharacle, said: “The phone box is iconic, people from all over the world come here and take photographs of it. We have even got a postcard of it on sale in the shop. Geoff Campbell, chairman of West Ardnamurchan Community Council said: “About a year ago, the telephone was all of a sudden disconnected by BT – but I really don’t want to blame them at all here. “I think there was a problem with a consultation that was meant to have happened. The external body that undertook that consultation did not pass the information onto BT, and the phone box was taken out of service. A spokesman for BT said: “We consulted with Highland Council on the removal of the payphone in Kilmory in early 2017. Highland Council did not object to the removal of this payphone so we started the removal process, taking out the phone service initially. “After subsequent discussions with the local community and Highland Council we arranged to restore the payphone.